Hi friends, I promised you some new monster erotica this year, and I am finally making good on the promise. This is actually a story I wrote last year, but didn’t complete in time for the holidays. With some slight changes that make it even better, I am very pleased with this one. It’s a delicious revision of the story of the mysterious Krampus. In this story there will be no beating of children. Everyone involved will be a consenting adult. There will be a very long, forked tongue. I have just now submitted to Amazon, so it may be a day or two before you can find it there. But here’s the cover, so you’ll know when you see it. As always, you can look at my author page for all my releases, and you can receive notices of news if you subscribe to the Crea DelRand blog. Oh, Amazon is so fast. I just uploaded the new story yesterday. You can buy it today. See excerpts here and here, if you want to preview. And here’s the Amazon page where you can buy the complete story. 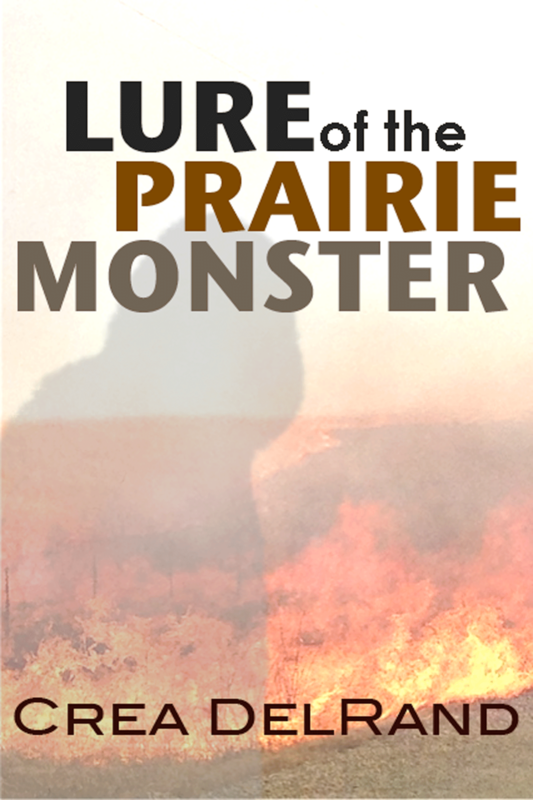 It’s been way too long, but I’ve finally submitted “Lure of the Prairie Monster” to bookbaby for publication! It should be available for purchase in mid-March. That’s all for now. Back soon.